I received a sample product in exchange for my honest review. All opinions are my own and no monetary compensation was received. If you are looking for a great stocking stuffer to help promote healthy habits in your home, we have the perfect gift idea for you! 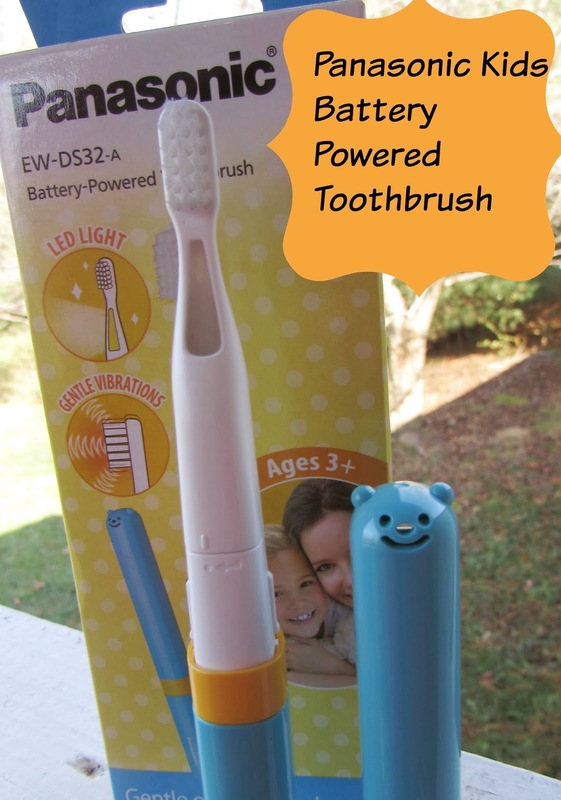 We recently got a chance to check out the Panasonic Kids Battery Operated Toothbrush. First of all, isn't this the cutest thing you have ever seen? 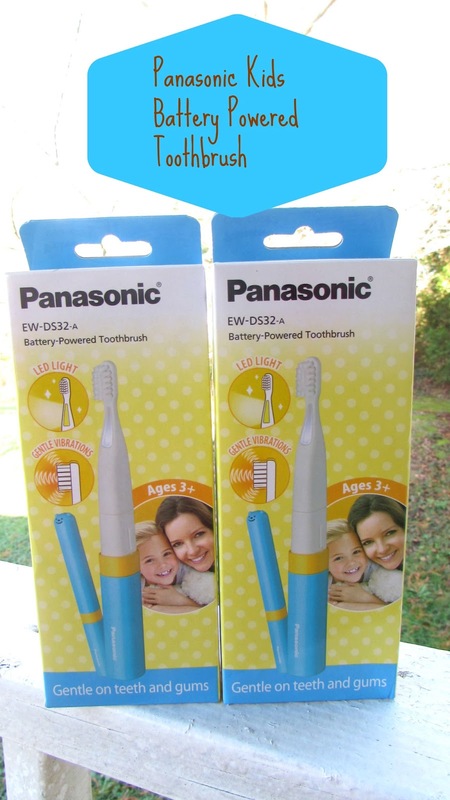 This toothbrush (thePanasonic EW-DS32-A) is designed to help teach kid healthy habits from a very young age. It's super lightweight and portable, so you can take it with you on the go. This toothbrush features super soft bristles for little mouths, and the speed is very soft and gentle, so teeth can get super clean without any pain or irritation. The toothbrush takes a single AAA battery, and the cute teddy bear cap is a cute touch. Another great thing is that this toothbrush comes with a built in LED light, which makes brushing teeth fun. Believe it or not, this tiny toothbrush packs a punch with 12,000 brush strokes per second! This is a great choice for a toothbrush if you have younger kids. The $39.99 price tag might seem a little steep to some, but if you are looking for an upgrade from a traditional toothbrush, this is a great option. The ergonomic design makes it easy for anyone to brush a child's teeth with this brush: mom, dad, or kids themselves. If you are looking for a first sonic toothbrush for your little one, this is a great choice. For my four year old, this toothbrush has been working out perfectly. However, my eight year old seems like he might be a little too big for it. I would like to see a bigger size for older kids/tweens. I think that would be a great choice. I really like the LED light on the brush, it makes it a little bit easier to see inside those tiny mouths. This toothbrush has been perfect for my four year old. I think if I were to get him a "traditional" sonic toothbrush, he would be way too scared to brush his teeth with it. I am very happy with this more gentle option for him. I love, love, LOVE that the toothbrush head can be removed and replaced. Also, the fact that it takes a simple AAA battery is great, since we always have those laying around. 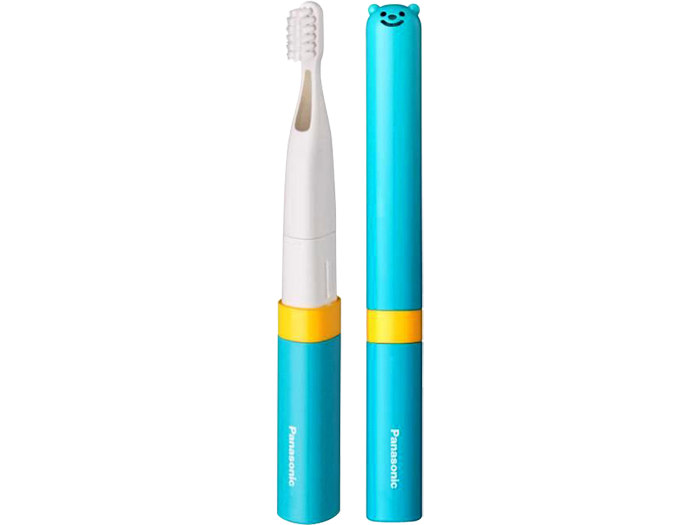 All in all, the Panasonic Kid's Battery Powered toothbrush would make a great gift! If you would like to check it out, click here to visit Panasonic's website. Thanks so much to the great folks at Panasonic, we have an additional toothbrush to give away to one lucky reader! To enter, simply leave a comment below and tell us who this toothbrush would be for if you were the winner! 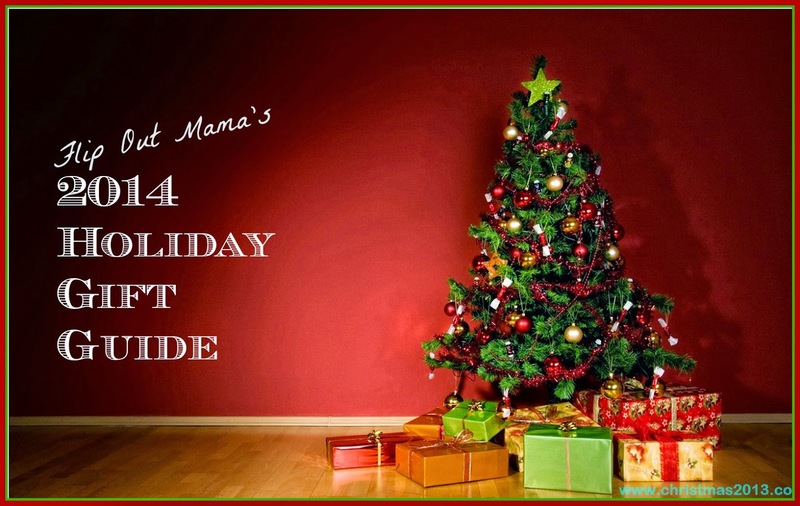 We will draw a winner on 11/30/14 at approx. 10pm EST. Winner will be chosen via random.org and will be contacted via email for details on how to claim their prize.